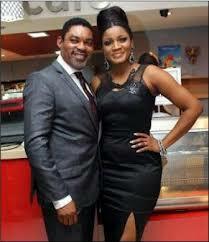 Nollywood actress, Omotola Jalade-Ekeinde has a few tips on how to celebrities and other public figures can make their marriage work. Omotola gave the advice at the Innovation Warehouse, a mentorship programme for aspiring filmmakers and actors during the just concluded Africa International Film Festival in Lagos. She said, "They must believe in you. If you’re a Christian and you marry someone who is not born again then you are on your own. Your partner needs to be stronger than you. They are the ones getting the aftermath of your own action. Choose a partner who understands entertainment. Don’t choose your fan. Personally, I don’t believe in love at first sight. Pick someone who sees your heart, your soul, someone who sees the real you and not afraid to tell you about your flaws. "Discipline is key. Everyone wants freedom but too much freedom is bad. Be disciplined. It’s better to be an enemy to a work partner than to your family. Learn to say No! We are like nurses and doctors in the industry because we can be called upon at anytime."